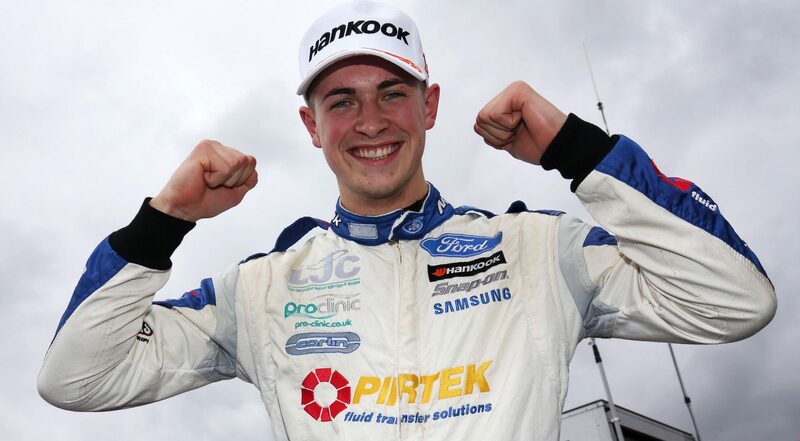 BRDC rising star Jamie Caroline brought the curtain down on his record-breaking campaign in the F4 British Championship certified by FIA – powered by Ford EcoBoost with another trip to the podium on the weekend where he successfully wrapped up the 2017 title. 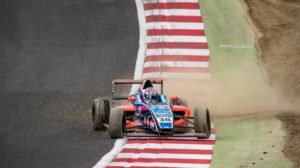 The talented teenager qualified fourth on the grid for the opening race of the weekend and too k his place on the grid aware that a solid result would be enough to wrap up the title. A fine start saw Jamie making up places off the line but a clash with Alex Quinn going in to Paddock Hill Bend saw him drop to the back of the field.Undeterred, Jamie recovered well to fight his way back up towards the points-scoring positions with a number of scintillating laps and an eighth place finish was enough to given him the British F4 crown.